Seeing insect repellents flying off the shelf and then realising that people are reselling them on Carousell, I decided that enough is enough. I needed something as effective as Deet but 100% natural for my pregnant wife so I did some research on homemade insect repellents. I realised that Citronella oils are not as effective as I thought and the only natural essential oil that is as effective as Deet is Lemon Eucalyptus oil! The problem is, you shouldn’t apply Lemon Eucalyptus oil directly on your skin as it is too strong in its pure form. You would want to mix it with something that is soothing and calming on the skin (astringents) and Witch Hazel is the natural choice. 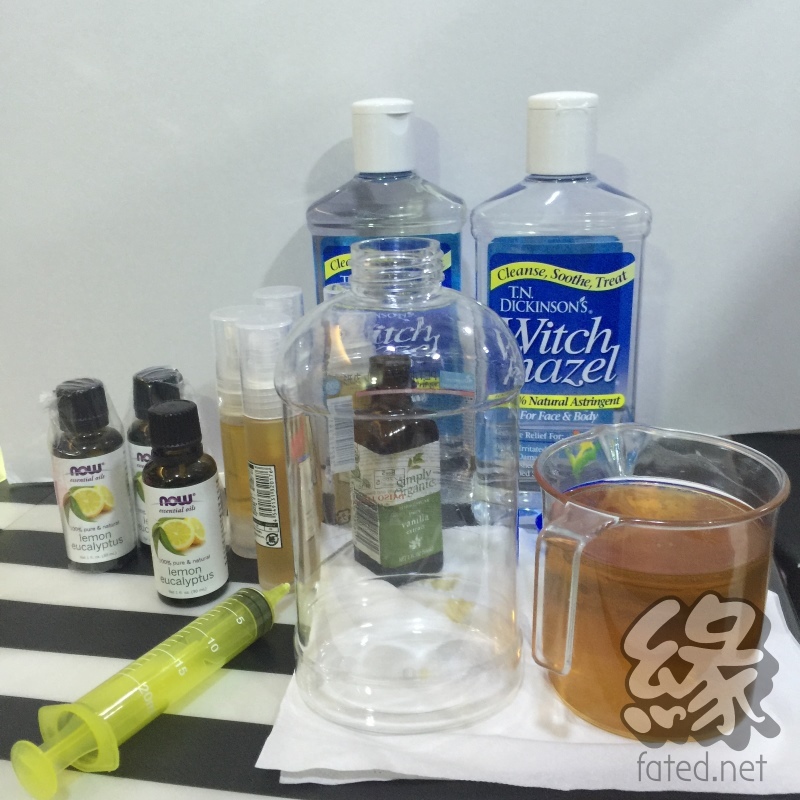 Of course, if you prefer, you can use cooking oil or denatured alcohol but I would really recommend Witch Hazel. The last ingredient is Vanilla Extract. This is optional but recommended because some people don’t like the smell of Witch Hazel! Now here comes the most important part – putting them altogether. I bought pump spray bottles from Daiso but you can find them elsewhere. I would recommend glass ones if you can find them. Mix them up and transfer them to pump bottles. The mixture dry up really fast on contact with skin and is good for several hours.